Edward Farrell, who retired from practice in 2001, began representing injured workers in 1956. Since then, Fraulob – Brown continues to be one of the most respected law firms in Northern California. To this day Don and Melissa are committed to carrying out the mission, excellence and passion for the law that the firm has embodied for over fifty years. We represent injured workers at the Workers’ Compensation Appeals Board and the appellate courts with their claims against employers and insurance companies, ensuring that our clients receive the benefits to which they are entitled. We assist disabled members of our community to appeal denials of Social Security disability benefits, which in many cases are the only financial lifeline for them and their families. 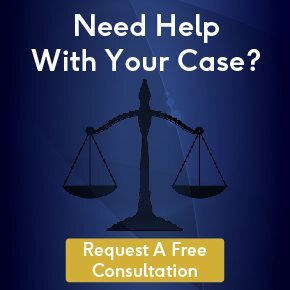 We win the hard cases, because the firm’s attorneys and staff are highly knowledgeable, experienced, compassionate, and hard-working. Our estate planning and elder law practice embodies our firm’s philosophy of representing the whole client, placing emphasis on legal tools and strategies that reflect the values of our clients in this most personal area of the law. Our legal counseling ensures that individual autonomy is respected and that the wishes of our clients are protected when the time comes. If you want to find the best surgeon for your back surgery, the best information will come from other physicians who have seen them all in action. So it is with lawyers. Ask one who they think are the top attorneys – other than themselves – and they will give you a knowledgeable answer because they have seen them in action and they know who are the most effective. Fraulob – Brown is proud of the fact that its attorneys routinely are listed as the best lawyers by other lawyers and those who rate lawyers based on objective criteria. Accordingly, in nearly every lawyer rating source – everything from America’s Top Attorneys to the Sacramento Business Journal . The Sacramento News and Review readers “Best Of” included one or more Fraulob – Brown lawyers on the list. Fraulob – Brown has demonstrated the highest degree of knowledge and professional ethics, achieving the best results for our clients year in and year out. Fraulob – Brown’s staff is experienced, compassionate and competent. Two legal assistants are fluent in Spanish, one in Hmong, and all are knowledgeable regarding the fields of law to which they are assigned. Each attorney is an expert in his or her specialty. Two attorneys, Donald Fraulob and Melissa Brown, are State Bar Certified Specialists in Workers’ Compensation and arbitrators for Workers’ Compensation matters. Fraulob – Brown is able to achieve success for its clients by associating itself with a network of physicians and other professionals who get the best results. If consultation with a physician in a different specialty is appropriate, Fraulob – Brown knows who to consult. If other attorneys specializing in personal injury, employment law, or medical malpractice are necessary, Fraulob – Brown has collaborative and referral relationships with the very best attorneys in many different fields of law in California.